Imagine if she hadn’t forgotten the book. Or if there hadn’t been traffic on the expressway. Or if she hadn’t fumbled the coins for the toll. What if she’d run just that little bit faster and caught the flight she was supposed to be on. Would it have been something else – the weather over the Atlantic or a fault with the plane? Set over a 24-hour-period, Hadley and Oliver’s story will make you believe that true love finds you when you’re least expecting it. I can’t believe I finally picked this one up!! I’ve had it for ages on my shelves and it’s been taken on vacation twice – but this time I finally got to it, and I am so glad! This is a YA contemporary, a.k.a. a very cute story, perfect for this time of year. In it, we follow Hadley, who is on her way to her father’s wedding (to a woman she’s never met). She misses her flight by mere minutes and is forced to wait at the airport for hours, until the next flight to London. There, she ends up meeting Oliver, a cute boy with a lovely British accent, with whom she spends the following several hours. Then, it is time to say goodbye and face real life – but she can’t stop thinking about Oliver. His elbow is brushing against hers and their kneecaps are nearly touching; there’s a dizzying smell to him, too, a wonderfully boyish mixture of deodorant and shampoo. This is a fun contemporary, but not a shallow one. I thought it touched on several important topics, from dealing with one’s fears to dealing with loss – and, in my opinion, the author handled them quite well! I love me a cute and light love story, but I’ve probably mentioned before that my favorite ones always have a deeper meaning, or a more serious plot. A great example of that is The Inevitable Collision of Birdie and Bash, which you know I absolutely loved! That’s what you do on planes. You share an armrest with someone for a few hours. You exchange stories about your life, an amusing anecdote or two, maybe even a joke. You comment on the weather and remark about the terrible food. You listen to him snore. And then you say goodbye. It is also quite a funny story, not only the plot itself but also the characters. I found myself laughing and smiling several times. Speaking of smiling, the romance was so darn cute. These two work so well together. On another note, their dialogue was so freaking good – I didn’t cringe once and I laughed!! ‘Dentists,’ she offers. ‘Spiders. Ovens.’ (…) ‘And small spaces,’ she says, a bit more quietly. Jennifer E. Smith writes great, lovable characters that you’re sure to care for. Not only Hadley and Oliver, but also the side characters, like Hadley’s parents and her mother-in-law’s bridesmaids. I think this is pretty much a typical chick-lit, only with younger characters. In fact, this synopsis reminded me of Sophie Kinsella’s Can You Keep a Secret, which also involves a plane – although I have yet to read that one. Her father’s wedding was pretty much the last place she’d ever be inclined to take somebody. Having to endure the night in a disaster of a bridesmaid dress while watching a bunch of adults do the ‘YMCA’ would be hard enough to bear on her own. Ultimately, this is a quick, immersing and fluffy (but not overly so) read. It’s not memorable – I’m sure I won’t remember much about it a few weeks from now – but it’s very fun while it lasts. 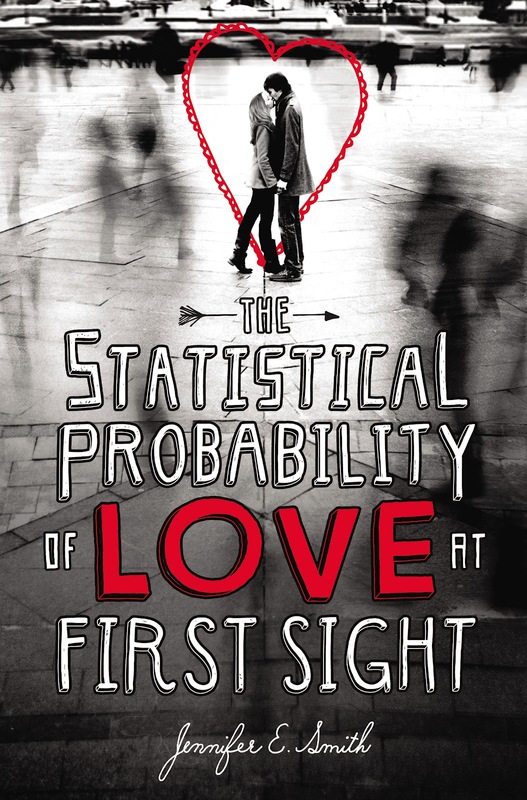 I hope you enjoyed reading my thoughts on The Statistical Probability of Love at First Sight and if you’d like, check out my other book reviews!